Steps To Become Blogging Are Training Wheels Slowing You Down? 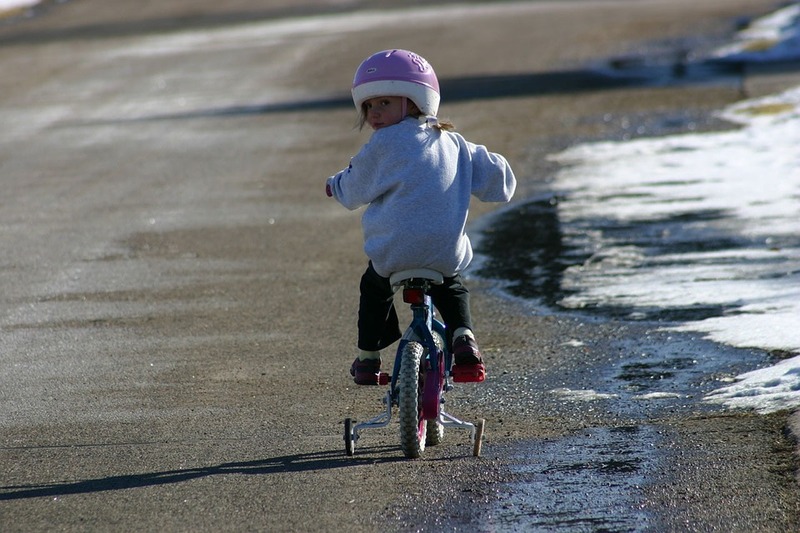 Are Training Wheels Slowing You Down? Today’s question: Are training wheels hindering the speed of your success and what’s that got to do with blogging? Taking the summer off of blogging was like taking the training wheels off of my internet marketing business. I didn’t see it that way – heck the thought never entered my mind until this morning when I read Nathan Hangen’s essay Step Away From the Blog. In his essay compares blogging to a set of training wheels. Blogging, he says gets you going on the internet, familiarises you with online business basics and opens doors for opportunities. Blogging of and on its own seldom puts a severe coin in your pocket, and he challenges the reader to step away from blogging, develop a product and build a business around that product. In other words, stop fooling yourself, take off the training wheels and start making money. Co-incidentally in today’s edition of Website in a Weekend, Dave Doolin tosses a suspiciously look alike grenade into his reader’s psyche: Money blogging: Everyone’s dirty little secret. Dave’s question is just this: why do you blog? Both articles are worth the read. Hop on over there and then come on back. But it got me thinking. Without knowing it, I was shedding those training wheels during my sabbatical. After almost two years of blogging the money, the truck hasn’t precisely rolled up to my front door. I have made a few dollars here and there, but it’s a long way to Tipperary and to the pot of gold. Taking the sabbatical helped me to de-clutter, clarify and get into business – two, in fact, one as a JV partner and the other a full partnership. Both are online businesses. I would have happened if I did not have this blog as my set of training wheels. But the training wheels are off now. Does that mean I won’t be publishing here? No. One of the most valuable lessons learned from blogging here is that this is my Continuing Ed in internet marketing. So yes, of course, I’ll continue to publish – I hope to change the tone of content somewhat, that this may not be so much a blog on blogging as a commentary on our industry and a further hope that it stirs your creative juices which I encourage you to share here. So as a beginning what about you? What has your experience been in blogging? How have you grown since you began? Do you have a vision of where you want to be? How do you think blogging factors in? Have you made money off your blog? Or has the blog been a conduit to selling other products? What’s your topic? What’s your product? Would love to hear. My space – your voice!